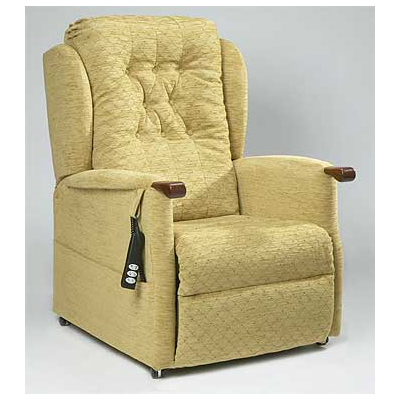 The Conway Rise & Recline chair is a comfortable and elegant chair, with solid wood arm knuckles, a deep buttoned back, full chaise footrest and padded wings, offering optimum comfort as well as excellent lumbar and head support. 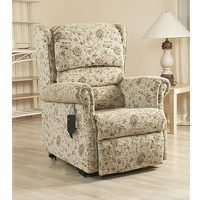 The Conway also boasts the wall-hugger action, with its single motor moving the chair seat forward as the back reclines, enabling the chair to be placed within 3″ of a wall and recline perfectly. 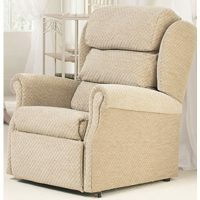 Rise & Recline Chairs from Primacare are highly customisable, so they can be made to meet your specific needs. 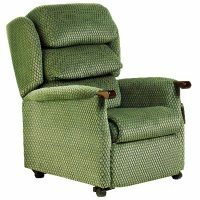 The Conway recliner can be made to order with a choice of seat dimensions, motor mechanism, weight capacity and in a huge choice of fabrics. 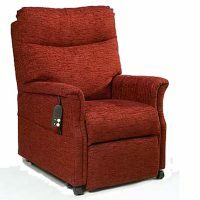 To discuss all of your options fully call us today on 0117 980 1820 or visit us to view the range and try for yourself at our friendly Bristol showroom.